To enhance YOUR child’s academic and social development. Dolvin PTA spends appx. $100 per child/per year – your donation directly supports many programs & events. 100% of your donation is tax deductible & goes directly to the students. 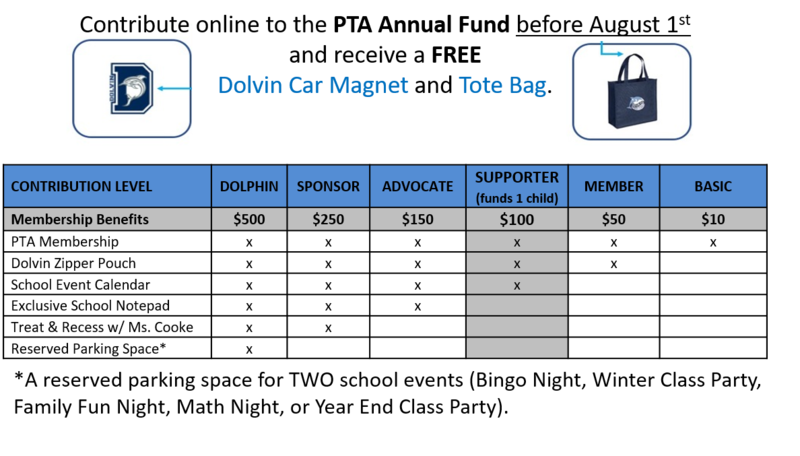 Dolvin PTA is a non-fundraising organization. This is the ONLY TIME you will be asked to donate money. WHERE DOES YOUR SUPPORT GO……..
HOW CAN YOU SUPPORT YOUR CHILD……..